Are women in North Africa and the Middle East 'feminist'? Or is being a Muslim incompatible with feminism? Is there such a thing as 'Islamic feminism'? Through interviews with Moroccan activists and jurists - both male and female - and by situating these interviews within their socio-political and economic contexts, Doris Gray addresses these questions. 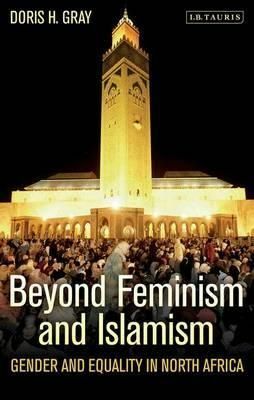 By doing so, she attempts to move beyond the simple bifurcation of 'feminist' and 'Islamist' to look at the many facets of internal gender discourse within one Muslim country, allowing for a more nuanced understanding of the discussion on women's rights in the Muslim world in general. By marking out a 'third way' that looks beyond 'feminism' and 'Islamism', Gray presents religion and faith not as blocking gender equality but as a source of inspiration to explore new ways of conceiving modernity.